Parc Les Etoiles in Blaimont - the best offers! 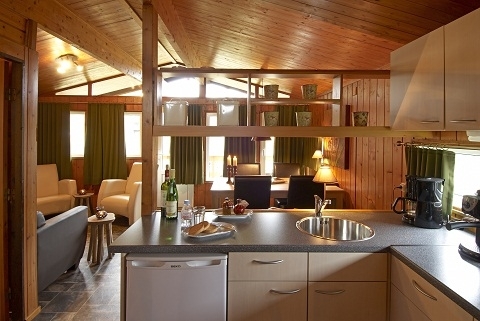 This price applies to 2-person cottage L'Etoile, with the arrival as 10 June 2019, 2 Nights. This price applies to 4-person cottage Le Soleil Comfort, with the arrival as 29 April 2019, 2 Nights. 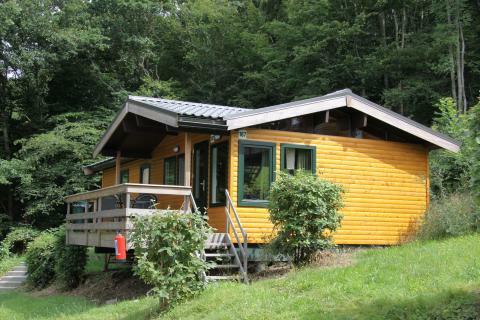 This price applies to 4-person cottage Le Soleil, with the arrival as 20 May 2019, 2 Nights. This price applies to 6-person cottage La Lune Comfort, with the arrival as 6 May 2019, 2 Nights. This price applies to 6-person cottage La Lune, with the arrival as 20 May 2019, 2 Nights. This price applies to 8-person cottage La Terre (max. 6 adults), with the arrival as 20 May 2019, 2 Nights. Parc les Etoiles is situated on a southern slope of the beautiful Meuse valley. 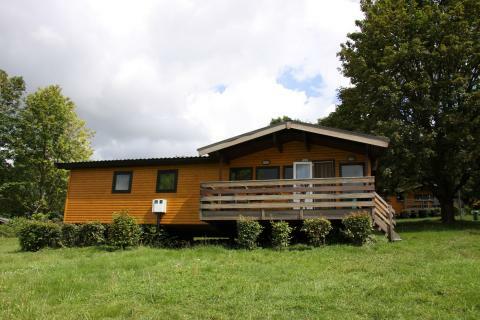 The detached lodges and cottages are situated so that they offer a panoramic view of the area. The park has numerous indoor and outdoor activities. There is a volleyball court, a tennis court, indoor playgrounds, several outdoor playgrounds and an outdoor pool. Nature lovers will enjoy the forests, the rugged cliffs, and the castles and caves. You can also enjoy canoeing, hiking, cycling and fishing. Parc Les Etoiles has something for everyone. For relaxation: a solarium and sauna. If you are in the mood for something more active, you can use the tennis court and sports fields. Parc Les Etoiles has a supermarket on the park for groceries. For the kids, there is plenty to do at Parc Les Etoiles. In July and August there is a leisure programme that captivates even the youngest children. The children can enjoy themselves swimming, with both indoor and outdoor pools. There are two playgrounds and an indoor play area. Want to enjoy the Burgundy lifestyle? Then you can go to the à la carte restaurant La Bonne Heure, which is in the park and open all year round. You can enjoy delicious dishes with a complementary glass of wine or beer. Restaurant La Bonne Heure has special packages during the holidays. The restaurant has free WiFi. 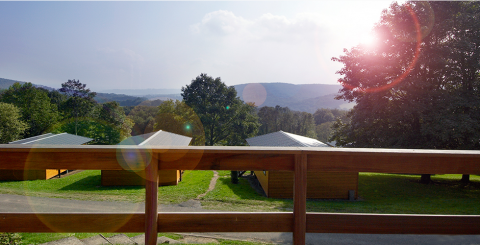 Parc Les Etoiles is located in the beautiful rolling countryside of the Ardennes. With deep valleys, rivers and picturesque villages, it is the ideal area with countless opportunities for stimulation and relaxation alike. You can find hiking, cycling and mountain biking trails, but you can also play golf, go horseback riding, canoeing, fishing or on survival trips. A visit to the La Merveilleuse cave or other caves in the region is highly recommended. You can take beautiful and exciting descents in the caves. Fancy something less exciting? Then a boat trip on the Meuse may be for you. The fortified city of Dinant is 7 miles away and is a popular city with a rich history and interesting sights. The city on the Maas also offers a wonderful view of the region from the citadel. The Citadel of Dinant can be reached by cable car. 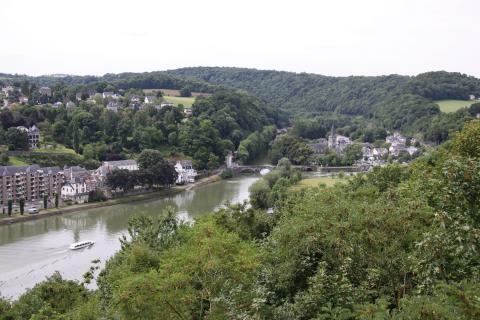 Dinant is also known for the Bayard rock, a rock in the shape of a menhir (megalith). There is a € 27,50 charge for preferences. You can find the details of this charge on your invoice. From July 1, 2014 Wi-Fi is free of charge! You can use a maximum of 250MB with 3 devices free of charge. After consumption of 250MB, you can buy extra extra MBs at reception and pay by credit/debit card or PayPal. Internet access is available at reception through a dongle. A deposit of €100 is charged. The children's package includes a cot and a high chair.